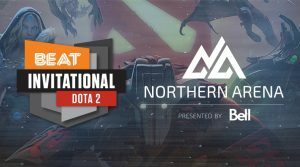 September 7th 2016 – The Canadian League of Gamers, the company behind Northern Arena, a world-class eSports competition for professional gamers and BEAT Gaming Corp. have partnered to bring forth a $100,000 Dota 2 Event in Montreal. The Northern Arena BEAT Invitational™ will have 8 teams battle it out for $100,000 in prizes in Montreal on November 11th – 13th, 2016. 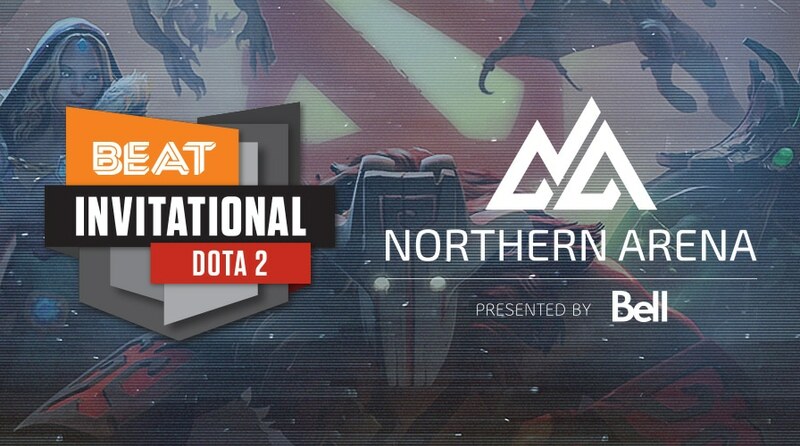 Moonduck Studios will provide the casting for the entirety of the event. Moonduck Studios talent has cast such events as The International, Captain’s Draft, the former Dota 2 Canada Cup and has been a staple in the Dota 2 scene for years. If you’d like to participate for a chance at the main qualifiers please go to FACEIT and sign up. Rounds 256, 128, 64, 32, 16 all best of 1 matches. Top 2 teams will advance to the main qualifiers which take place on September 19th through 30th. In 2015, Greg Spievak and Carl-Edwin Michel launched the Canadian League of Gamers as a world-class venture for video game players, fans, sponsors and broadcasters in the growing eSports market in Canada. The league hosts finals and qualifiers across the country throughout the year, including the nation’s largest live and streamed eSports events. The goal is to bring professional and non-professional gamers together in an official league that offers a structured, professionally managed and credible platform to promote eSports in North America and throughout the world. Founded in 2015, BEAT Gaming Corp. has run successful tournaments such as the former Dota 2 Canada Cup and Overwatch BEAT Invitational™. Prior to forming BEAT Gaming, the founders were focused on providing a forum platform for Canadians to discuss a game called Dota 2. Their initial tournament had viewership of 20 people, consisted of a $10 prize pool and was mainly Canadian forum members. After 8 successful seasons of tournaments BEAT Gaming Corp is ready to promote esports around the world. PrevPreviousOverwatch BEAT Invitational™ Season 1 by Soylent Announced!